Adopted at a young age, I caused a degree of consternation by not speaking English, or indeed, any recognised language, until I was three years old. I like to think I’ve made up for it since. After a worrying intellectual growth spurt which saw me reading the classics at age five and playing and beating adults at chess a year later, I developed into something not unlike a regular schoolboy, captaining my school football and basketball teams and being turned on to write by a succession of inspiring English teachers. 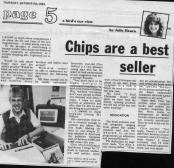 My first book was published in Britain and the United States three days after my seventeenth birthday and I celebrated my eighteenth by getting a regular weekly column in The Surrey Herald newspaper. That column, four further books and over 50 articles were produced whilst at sixth-form college where I obtained 3 A Levels (Politics, Business and English Law). 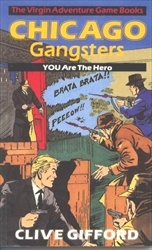 Taking a year off before attending university, I formed, ran and profitably sold on a computer games company (MikroLeisure) and had my first children’s books published by Virgin Books – Chicago Gangsters and Escape From Colditz. I also wrote a biography of progressive rock band, Marillion, The Script, for leading music publishers, Omnibus Press but hey, no one's perfect. I studied Political Science at Southampton University, gaining a first for my dissertation on media politics. I represented the university at field hockey, ultimate frisbee and basketball, booked music acts for the 800-capacity student venue and after a vigorous campaign, was elected Editor of the student newspaper, Wessex News. In those three years, I managed to ease my debts a little by selling interviews and stories to the national press as well as a spot of road line painting and one summer's unfortunate experience as the least effective security guard imaginable. 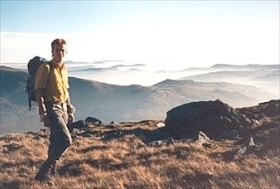 I turned down a PhD place at University in favour of more work in the media but disliked some of the dustbin-rummaging practises of the journalists I worked with and quickly exited for almost two years of travelling. Avoiding well-worn routes, I spent much of my time in South America, the South Pacific and the Far East filling my rucsac with ancient SLRs, rolls of film and a natty folding tripod. Being a radio DJ in New Zealand, becoming an ad hoc Easter Island tour guide in my three and a half weeks on that most magical of islands and performing stand up comedy in Ecuador and Tahiti all seemed perfectly normal at the time. Exploring the Bolivian Altiplano, 1989. I returned with a clear purpose and managed to get an editorial post at children’s publishers, Usborne. I worked as a Senior Editor, seeing books through from concept stage to production. During seven years there, I was asked to write a number of books for the company including: Understanding Science: Machines (American Bookseller’s Pick of the Lists), Soccer Tactics and new, genre-crossing titles of my own devising such as Dr. Genius and the Flask of Doom and The Murder Map Mystery. Book of the Year award. My desire to work with other publishers in different ways was mounting all the time and not long after turning 30, it was all change. I moved from London to Manchester - a fabulous, forward-thinking city, and set out on a freelance writing career. Lows were few but the highs kept on coming. Winning a Times Education Supplement (TES) book award and working with great people, truly enthusiastic about books, made it clear that writing was definitely, the career for me. Manchester has proven a truly inspiring place to live and write. I have been lucky enough to work with some terrific people on some fabulous projects – from a 20-book series of original fiction for early readers to writing an entire 480-page geography encyclopedia. My core work remains writing for children and young adults supplemented by forays into journalism. There have been some departures, including appearing on BBC Radio sports shows, a three week lecture trip to schools in Japan and being a script advisor for a Channel 4 quiz programme. Turning 40 was no big deal, not when you don't intend fully growing up, ever. Any fears I might have had subsided via a great 40th do with 25 friends at Skendleby Hall, a venue chosen as much for its stellar collection of toys and games (air hockey, snooker table, table football, sauna and hot tub) as for its pictureseque Wolds setting. Here's to the next 40 years, hopefully, most of them engaged in what I love to do most, writing to inform, surprise and entertain.